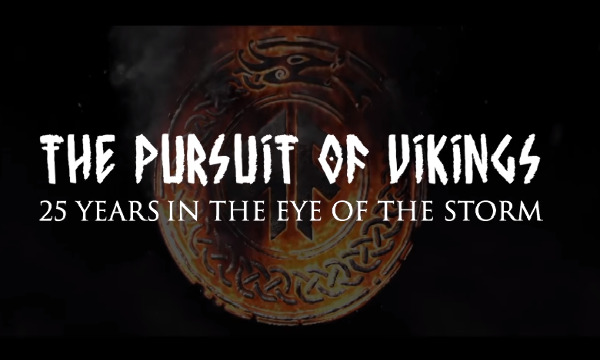 Amon Amarth se pregatesc sa lanseze un documentar care va veni la pachet cu albumul live 'The Pursuit Of Vikings: 25 Years In The Eye Of The Storm'. Materialul va fi disponibil de pe 16 Noiembrie. Filmul a fost produs de Alexander Milas si regizat de Phil Wallis. Milas a declarat: "I think I first became conscious of Amon Amarth around the release of 2002's Versus The World. It was a really transitional time for metal, and it seemed there wasn't a credible band on the heavier end of the scale that hadn't in some way responded to or been influenced by the pioneering sounds of the Swedish death metal scene. I distinctly remember thinking that there was something unique about these guys – the artwork, the thematic underpinnings, even that curiously timeless logo."